Yamaha xp 500 08-11 t-max. 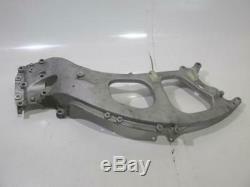 Half frame left front 4b501 y-1 good condition - mileage: 8865 p1d1i02500 yamxp cad0113232. Half front left frame 4b501 y-1. Our parts are pre-packed in our warehouses, so it is impossible to take measurements on parts for possible adaptations. Our parts are checked for dismantling in our workshops and before shipment. If you have any doubt about compatibility with your vehicle, please contact us with your. Brand / model / cm3 / year / serial number. The item "left front half frame 4b501 y-1 yamaha xp 500 08-11 t-max" is for sale since Saturday, October 27, 2018. It is in the category "auto, motorcycle parts, accessories \ motorcycle \ spares \ other".